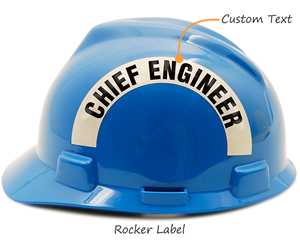 These labels wrap around the sides of your hard hat (akin to how the NFL helmets, say, for the Rams or Chargers wrap around the outside). The larger Rocker shapes, in particular, gives tremendous visibility to your message. We offer two different shapes. 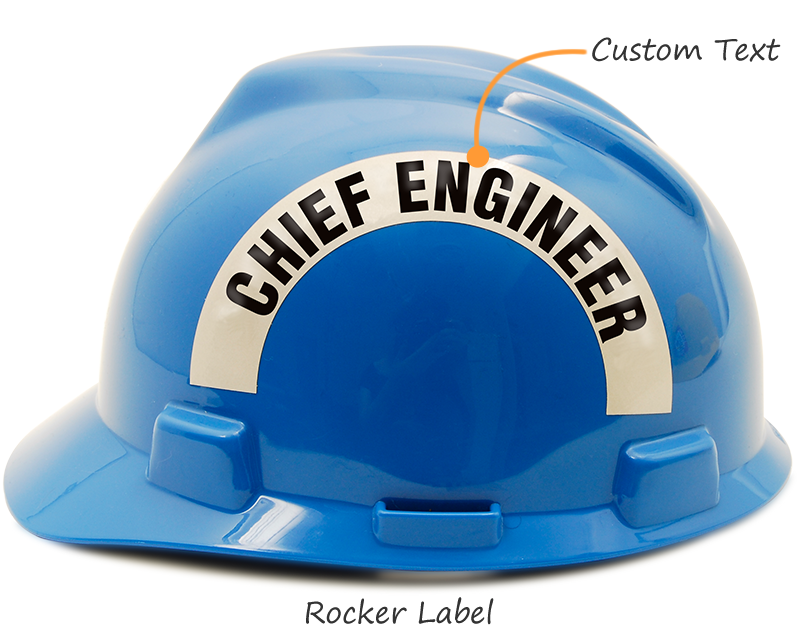 • The Rocker stickers are typically ordered in pairs and, once applied, hug each side of our helmet or hard hat. They are great for titles or names. 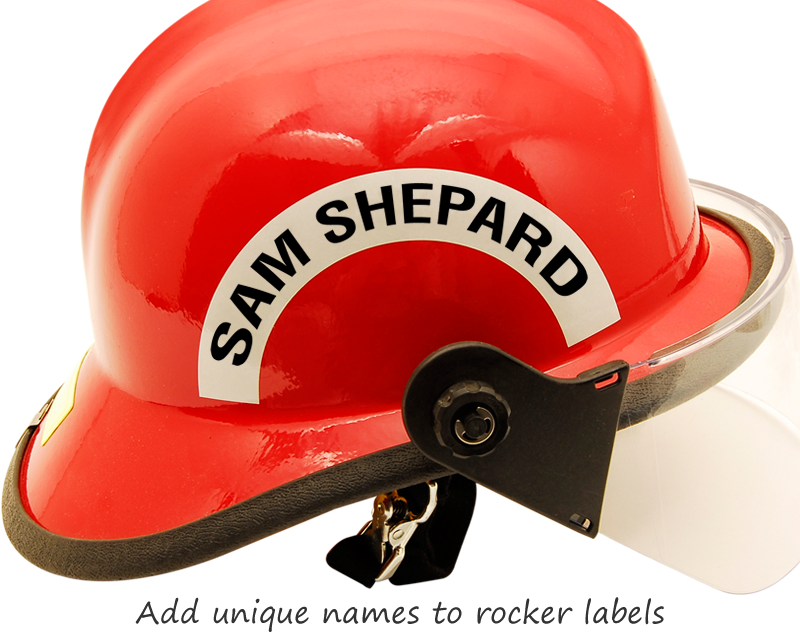 These are most commonly ordered in our reflective material and ideal for titles or company names. • The smaller Crescent stickers also fit on the side of a hard hat and can even fit over the top of our standard 2” diameter stickers. 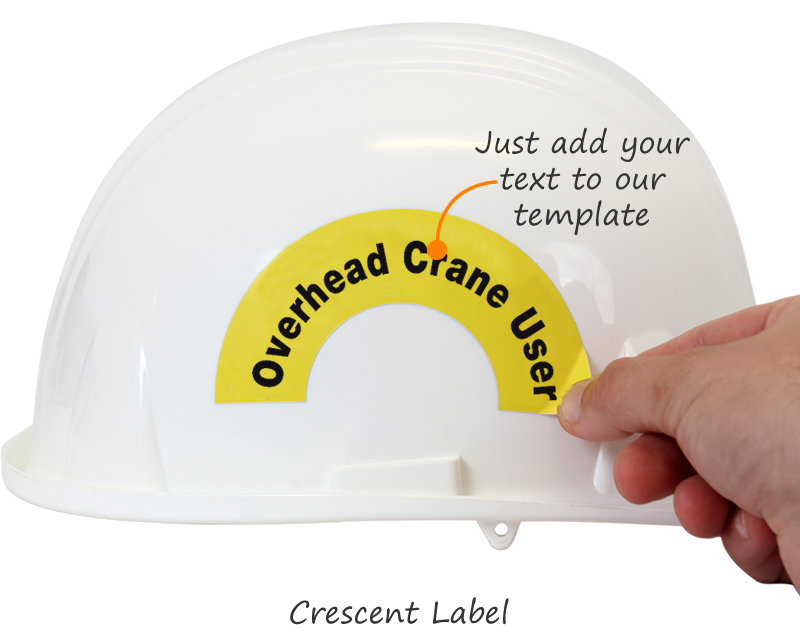 Use for the side of a helmet or a hard hat. Order two labels – one for each side. 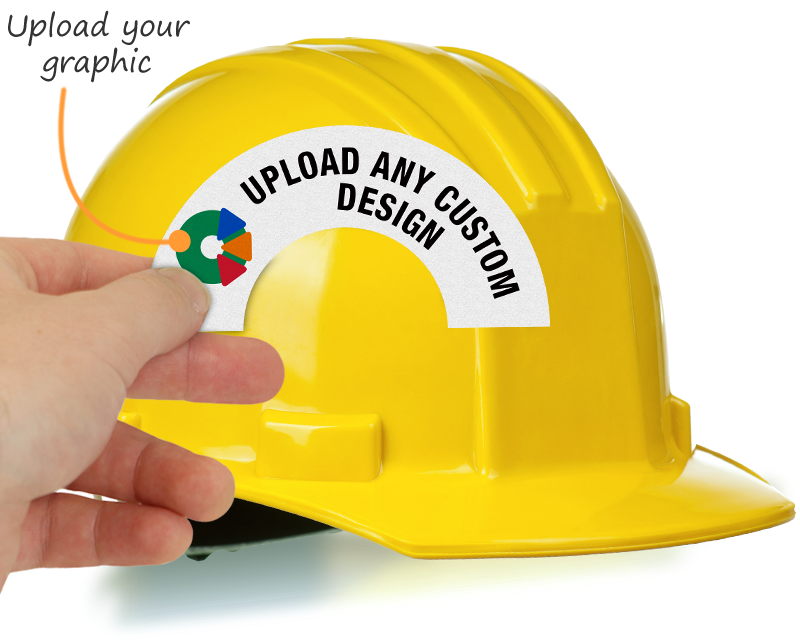 Upload your own art or add your text to the template. 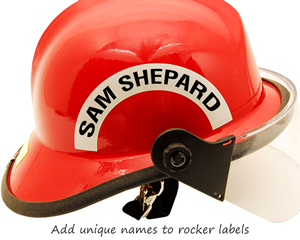 Create unique labels – one for each person on your team. Each label can have a different name. Order in either the larger “Rocker” shape or in the more compact “Crescent” shape. Explore our other shapes. Each crew is different. Make your labels stand out from the crowd!